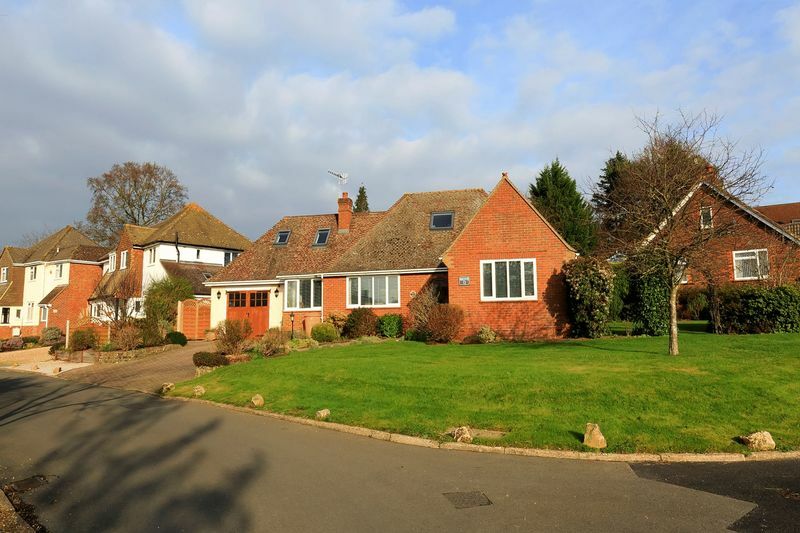 Located on a corner plot within a small private road is this superb detached home. 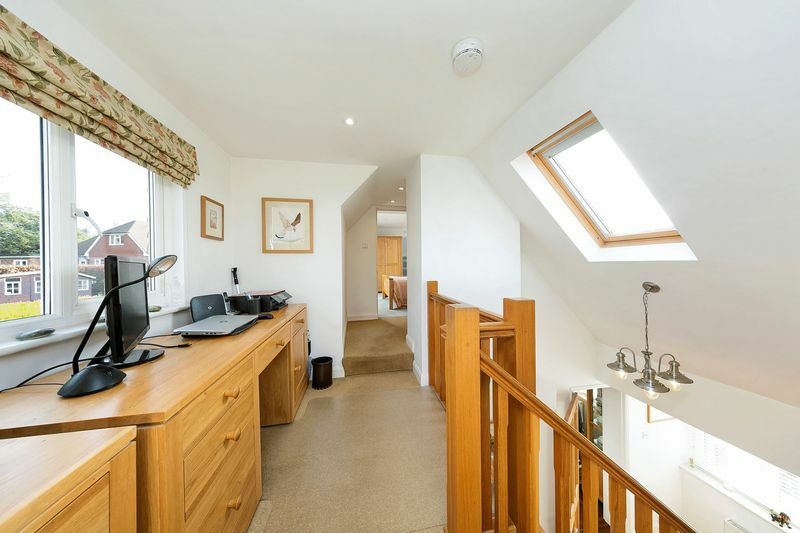 The accommodation is bright, spacious and versatile, perfect for modern living. 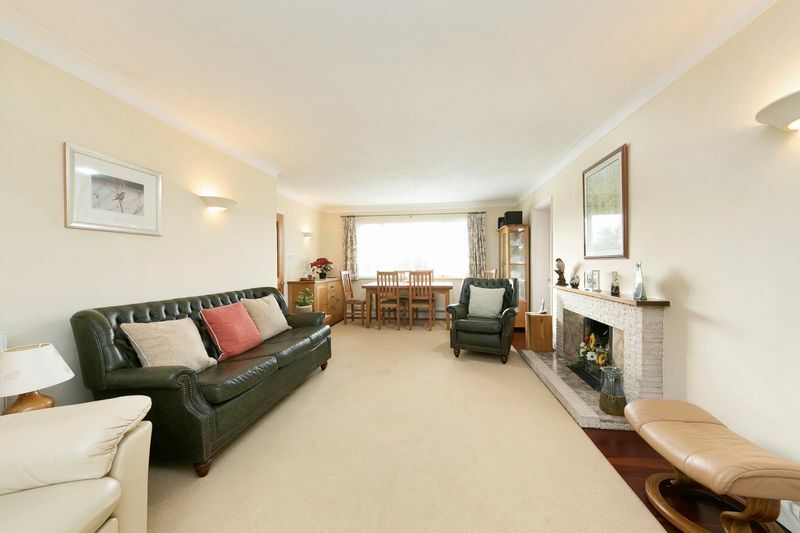 Comprising of 4 bedrooms, living/dining room, kitchen, utility room, ensuite shower room and family bathroom. 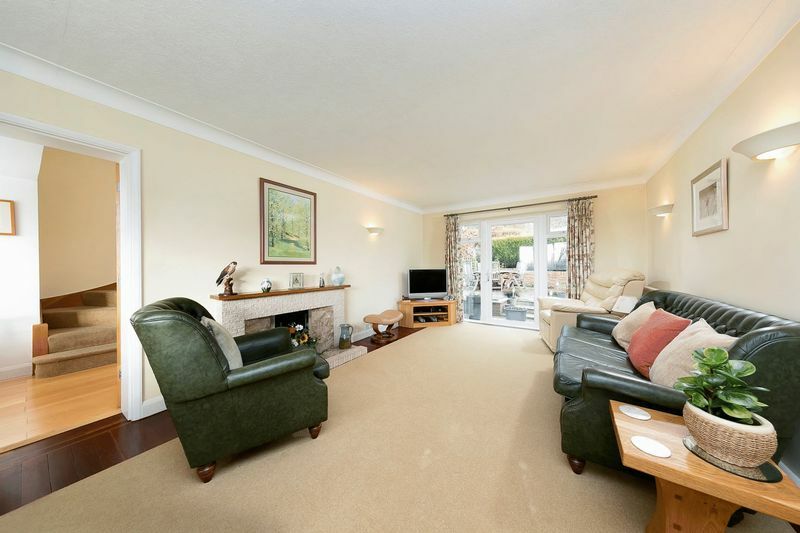 Outside the property, there is parking for up to 3 cars, a garage and a wrap-around garden. Inviting buyers looking between £650,000 to £700,000 - Buyer Search Range. 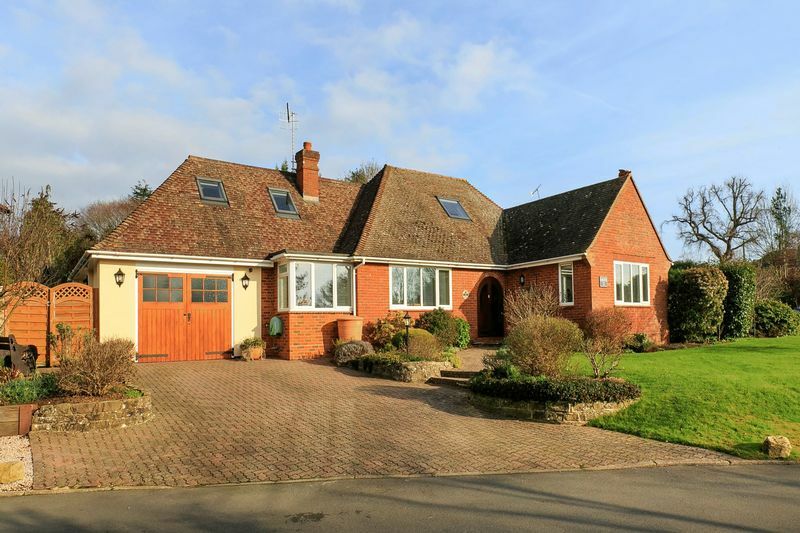 This attractive detached chalet bungalow with attractive arched entrance leads you into the hall with elegant wooden floors with door access to the ground floor accommodation. 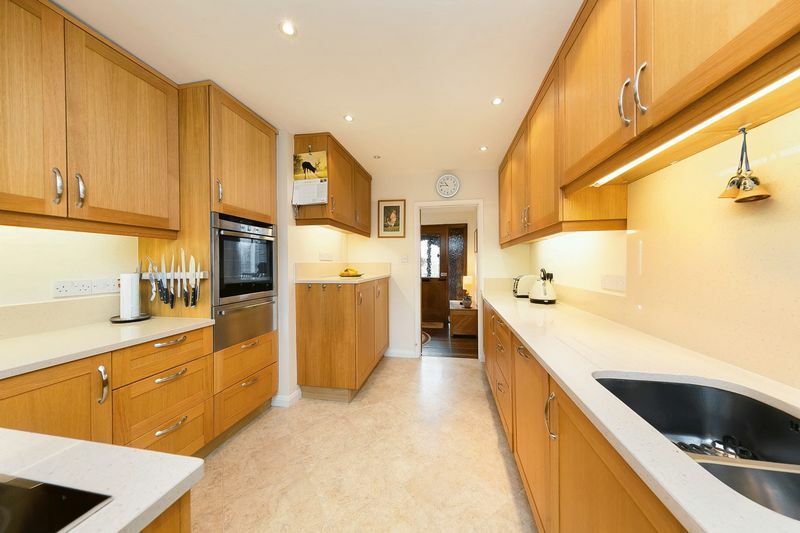 The kitchen, just off the hall, is particularly well appointed with a lovely range of large units and stone work surfaces with many built in appliances. Bosch induction hob; single stainless steel sink unit and drainer; integrated fridge and freezer, integrated Bosch dishwasher; integrated Neff single oven with Neff warming draw underneath; under counter lighting; recessed ceiling lights and Karndean flooring, with windows overlooking the rear and door to the garden. 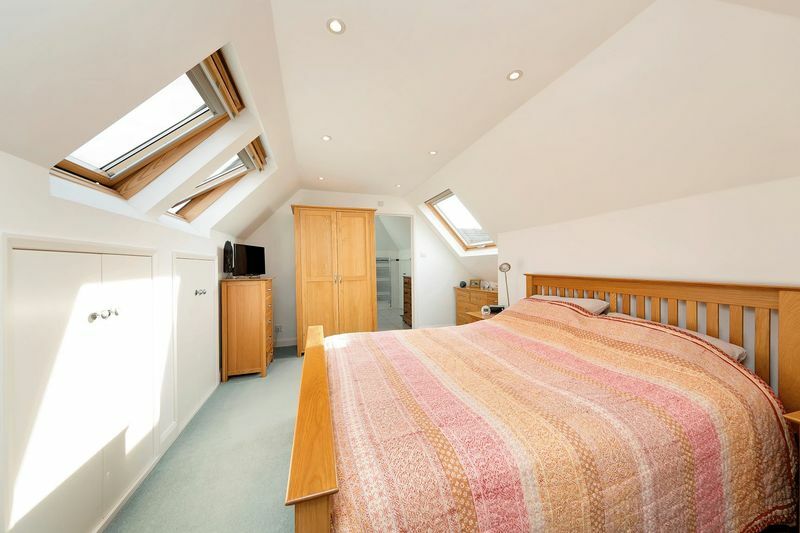 In addition to the kitchen, the ground floor accommodation offers 2 double bedrooms, a family bathroom and utility room. 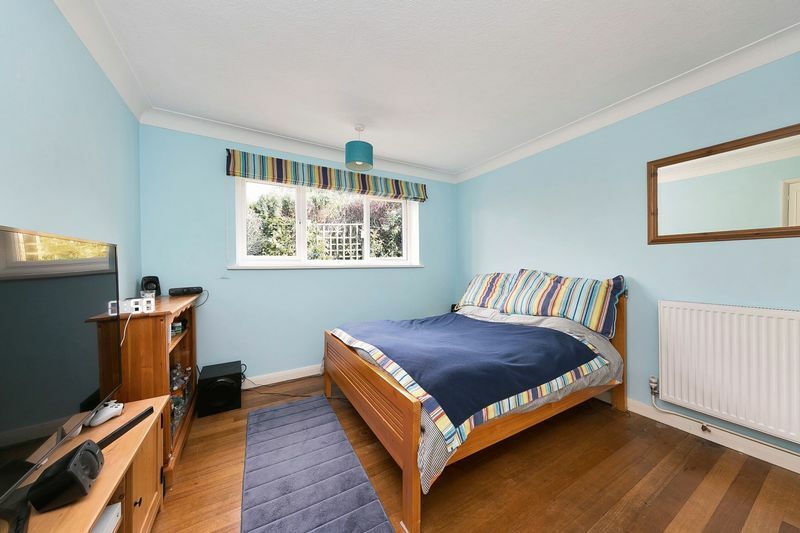 The rear bedroom has built-in wardrobes, airing cupboard, stripped pine flooring and window overlooking the rear terrace. 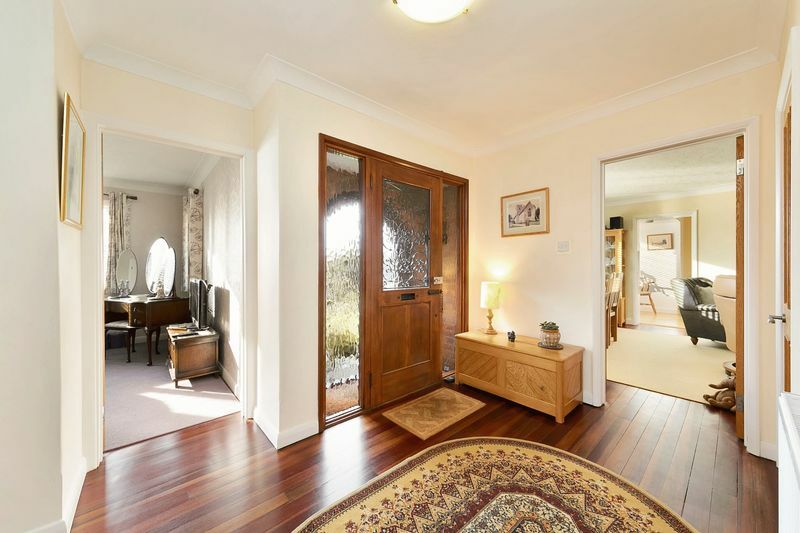 The front bedroom with its’ front aspect window overlooking front garden also with built-in fitted wardrobes and hardwood flooring. 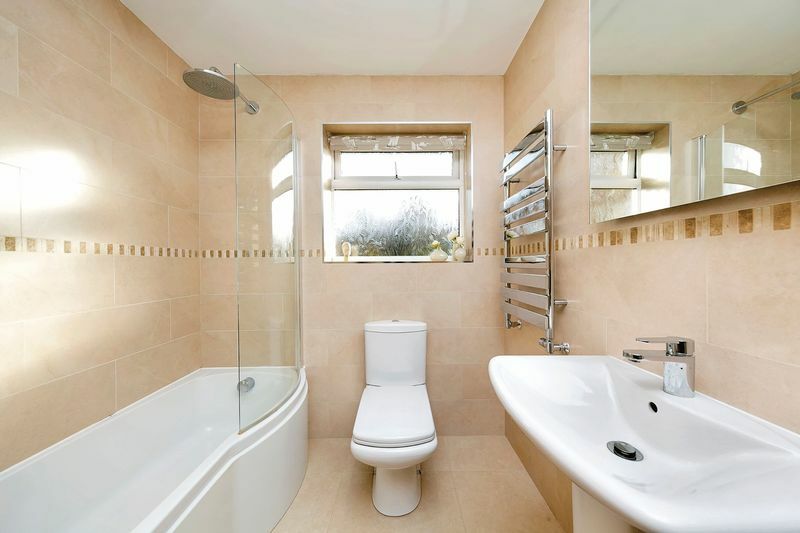 The family bathroom is fully tiled with white suite comprising bath, shower, low level WC and pedestal wash hand basin, two heated towel radiators and window overlooking the side of the property. An inner hallway leads into a useful utility room. The living/dining room which is dual aspect again has the attractive hardwood floors and offers a feature fireplace, window and doors to the rear and picture windows overlooking the front. 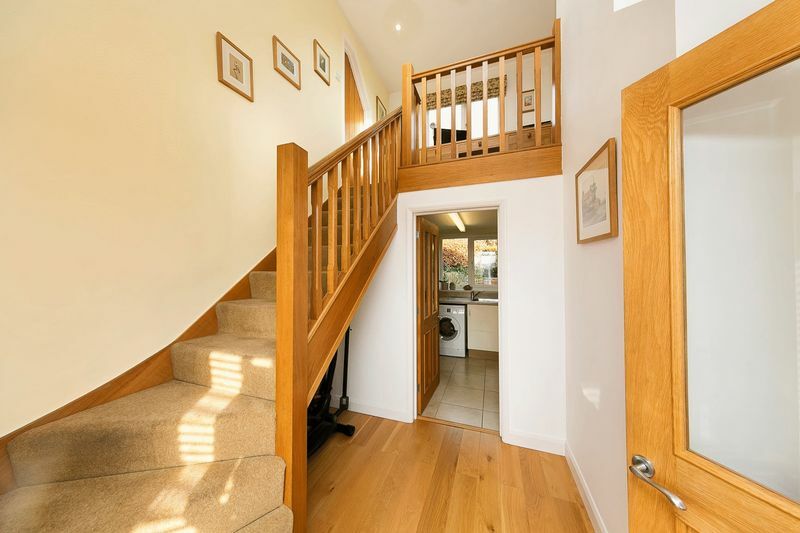 Leading you upstairs is a beautiful bespoke solid oak gallery staircase with a large landing area which is currently being used as a useful study. 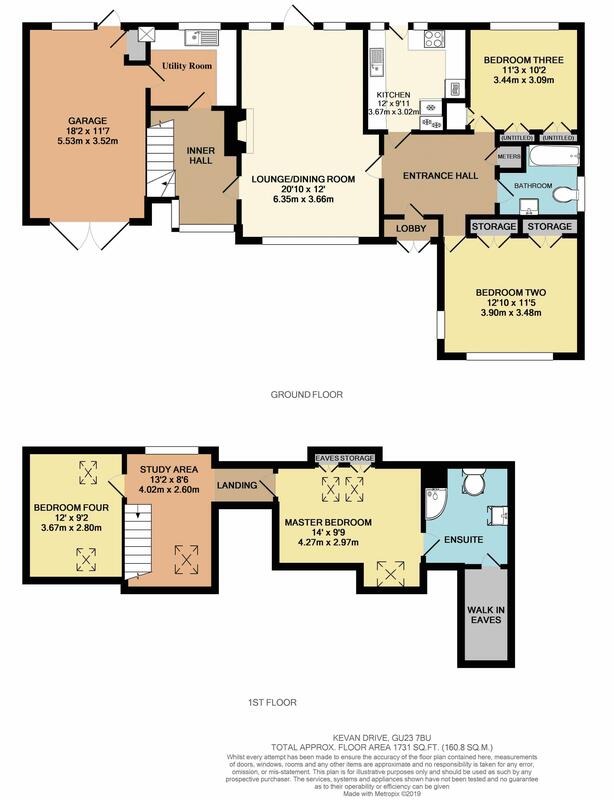 2 further bedrooms are found off the landing, with double aspect Velux windows, one of which offers a large en-suite bathroom which is partly tiled and a white suite comprising fully tiled shower cubicle, low level WC and pedestal wash hand basin, recessed lighting, double aspect Velux windows and eaves storage. 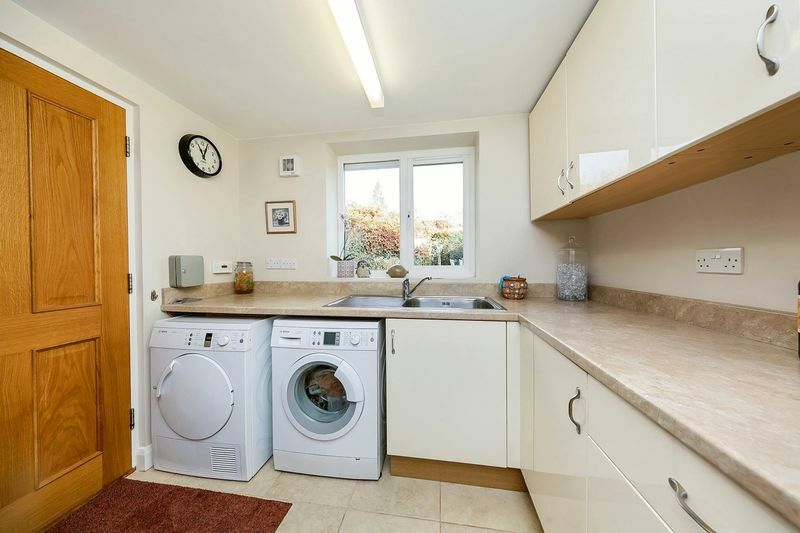 Utility room: A range of base and wall cupboards, with single stainless steel sink and drainer, plumbing for washing machine and tumble dryer and space for fridge and freezer. Tiled floor, window overlooking the rear and door to the internal garage. Garage: A bespoke solid oak ‘one and a half width’ garage, built in shelving, power and light. Built in cupboard housing Glow Worm boiler and Megaflow water tank and water softner and glazed door to the garden. 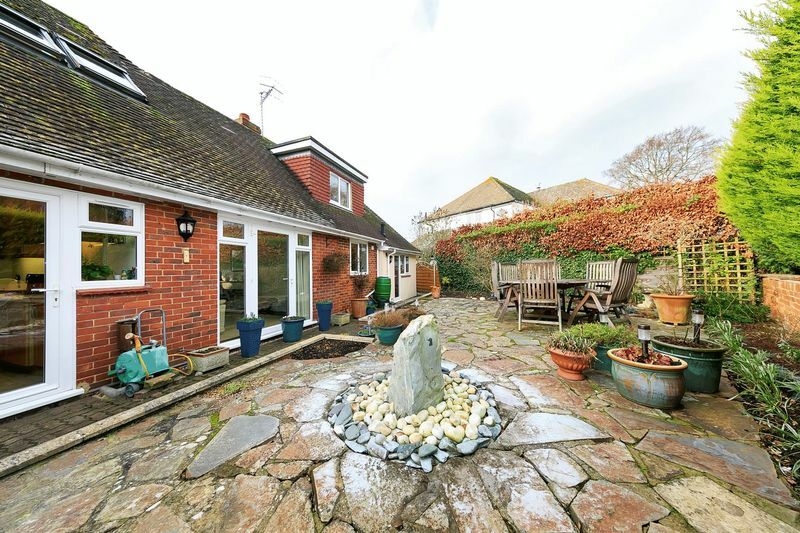 Outside : The property enjoys a large corner plot with a large lawned front and side garden with driveway parking leading to the attached garage. The rear garden has been landscaped with a patio and water feature and attractive well stocked flower beds. Send shops are nearby, as is Ripley Village with its range of shops, restaurants and public houses, plus Ripley Green offering space for many activities, and access to the River Wey. The A3 is within an easy drive accessing the M25 and motorway networks North and South, including the airports at London Gatwick and London Heathrow. Commuters have the choice of train stations at Clandon, Horsley and Woking. Recreational facilities are in abundance including cricket, golf, football, rugby and numerous beautiful walks within a short drive.